For families, seniors and the young at heart, sportsman, for those who want to relax and… for YOU we are the perfect holiday destination. Our organic farmhouse is quietly situated on a sunny, small bank off the main road in the middle of green, lush meadows with a wonderful panoramic view of the surrounding mountain regions: the Leoganger Steinberge, the Steinerne Meer, Asitz, Spielberg, … . Several walking and biking tours can be started directly from our organic farmhouse. The ski area Saalbach/Hinterglemm Leogang and the bike-park Leogang are about 3,5 km away and easily accessible by car or bus. 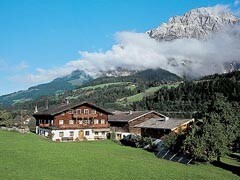 The summer luge run in Saalfelden is 7 kilometers away from our farmhouse. From Leogang popular destinations such as the glacier Kitzsteinhorn, the highest mountain of Austria – the Großglockner, the Krimmler Waterfalls, the national park Hohe Tauern, the giant ice world, the Mozart and Sound of Music city Salzburg or beautiful places in Tyrol such as the Pillersee, the mountain pine distillery, the Wilder Kaiser or the famous city Kitzbühel are easy and quick to get to. 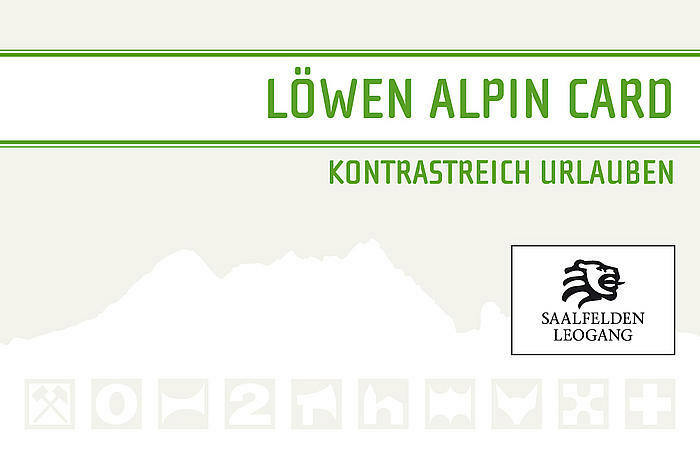 The Huberhof is member of the Löwen-Alpin-Card!